I loooove Tee*fy's new stuff, and Laviere's hair! 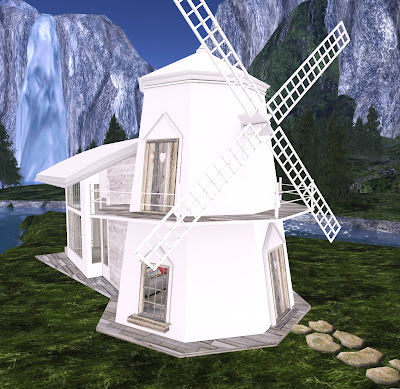 What I really wanted to talk about, though, was Scarlet Creative's windmill. I am so in love with this building! It's so whimsical and fun, I could just hang out in it forever and be happy. It's not huge, so it would serve better for a small house or a hangout, which is what I'm using it for. The textures are awesome, the build is wonderful, and it's only 106 LI. I have been consistently impressed with the builds from this brand, and I highly recommend you check it out! !